Stop slaving away in your business and instead, let a Pro hand you 32+ pages of Grade-A Prime Proven Content you can use any way you choose…to make products…emails…blog posts…e-courses…auto-responder series…videos…your own monthly newsletter / magazine (template included)…WHATEVER YOU WANT. 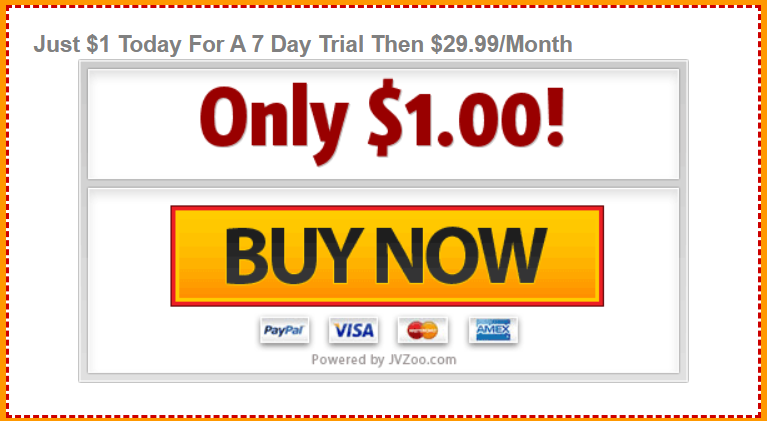 You own the PLR (Private Label Rights) to content that was never meant to PLR – it’s that GOOD! Second step: All the time you save by NOT writing, use to work on building your business and making money. Don’t confuse this with ordinary PLR– it’s not. It’s written by a professional million dollar marketer, Nick James and his team, – not some ghostwriter out of touch with what works in the real IM world. This is content to good and I promise you and your audience will learn more from EACH issue than you could imagine. And, along with the monthly raw content, you get a ready to go PDF MAGAZINE with all the content in it that you can distribute AS IS! 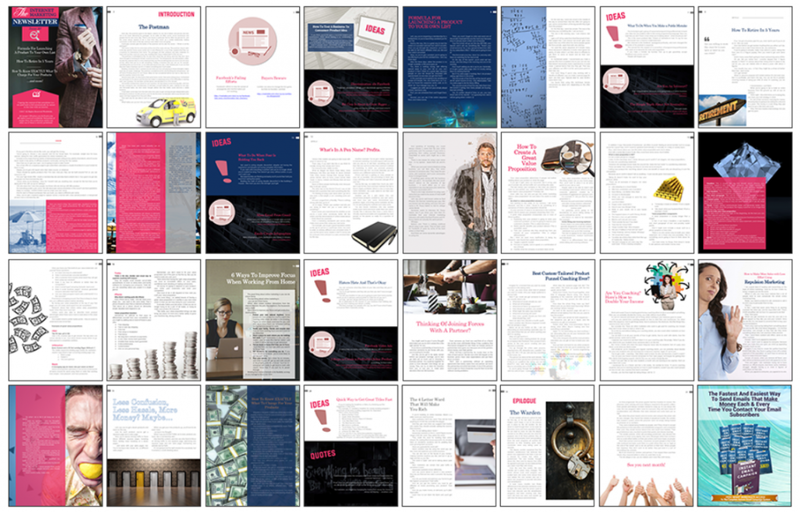 So how do you get an IM veteran to write you 32+ pages of amazing content each and every month for less than $2 a page? After all, why would an online marketing veteran who’s generated millions of $ online write PLR content? He might, however, be persuaded to sell private label rights to his member’s only monthly newsletter, (The Internet Marketing Newsletter). And that is EXACTLY what is happening right NOW. It’s written by an IM professional and his team, not clueless ghostwriters. This is content originally written exclusively for his monthly subscribers, never intending to release the rights to it. It’s that good. 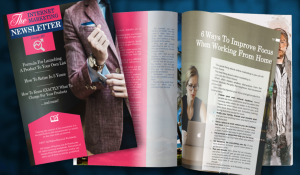 EACH ISSUE is in a 32+ page glossy e-magazine format– no other IM newsletter or magazine comes close to the size or quality of The Internet Marketing Newsletter. The Internet Marketing Newsletter does something ordinary publications don’t do – it teaches REAL methods for making REAL money online. The Internet Marketing Newsletter contains the latest Internet Marketing news, resources, proven techniques and profitable methods for marketing online in every single issue. The PLR can be used in magazine format with a ready PDF you can distribute, along with its editable .doc file– just change the magazine name and author’s name to your own – excellent for list building – or just deliver it as is! The PLR content can also be re-purposed in blogs, posts, products, emails, articles, auto-responder sequences, videos, e-courses, etc. The ONLY limit is that you cannot resell rights to it. YOU GET 32+ PAGES OF CONTENT EVERY MONTH! 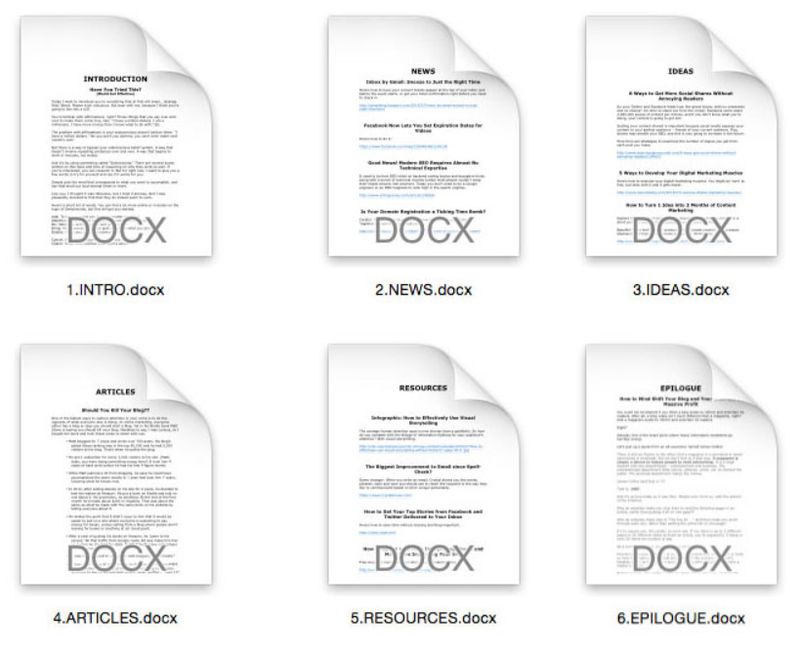 YOU GET A READY PDF THAT YOU CAN DISTRIBUTE AS IS! YOU ALSO GET THE .DOC FILE TO EDIT IT! AND YOU CAN USE THE RAW CONTENT AS YOU WISH! Why not get your business going and be smarter with a great body of ready content to get your readers and customers coming back for more.